All About Ballroom is a modern studio with a professional dance floor, top notch sound system and ample, soft natural light. Our top instructors, Jake and Heather combine their passion for dance and background in Athletic training/Physical education to prepare their students for social and competitive forms of dance. Both Jake and Heather have taught all ages and levels. 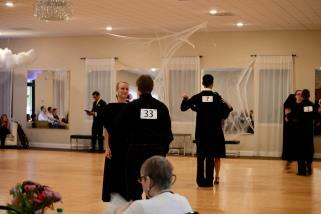 Yes, All About Ballroom can teach you how to ballroom dance like you’re a champion! We’re a group of professionals with heart and a passion for movement, music, and connection, and that’s what makes us the top-rated dance studio in North-East Florida! 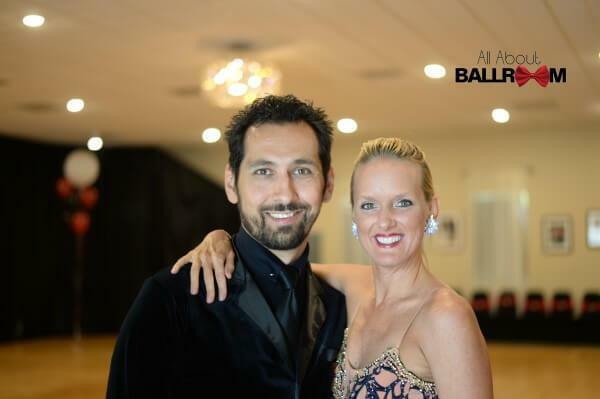 All About Ballroom invites you to take more chances and dance more dances! Learn how to Waltz, Tango, Salsa, Foxtrot, Hustle, Merengue, Swing, Bachata, and more…..We are locally owned and operated, happily sharing our space with residents of Jacksonville, St.Augustine, Saint Johns, Nocatee, Ponte Vedra and the surrounding area.